Do you find yourself searching for a healthy snack after an intense workout? At American Family Fitness, the wide assortment of products we offer in our Café promote muscle recovery and performance. Come check us out! There is nothing better than a refreshingly healthy snack before and/or after a workout. At American Family Fitness in Short Pump, we offer many products that foster muscle recovery and performance. Our extensive list of products includes supplements, protein shakes, energy drinks and bars, as well as smoothies. 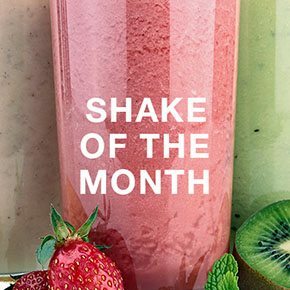 And with our frequently requested shake of the month, there is more than enough to satisfy any hunger cravings that pop up! The Café at the best gym in Short Pump has everything you need! 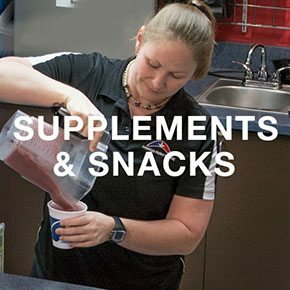 Our wide variety of supplements, protein shakes, energy drinks and bars, as well as smoothies will be more than enough to satisfy your hunger pains. At our gym in Short Pump we know how very important our members are. Because of this, each month we develop a unique shake recipe to please even the pickiest of pallets. The ingredients are always healthy, and it will always assist with workout performance and recovery. Give the gift of health to your loved ones. Show everyone how much you care, and get the bonus of having someone to workout with! 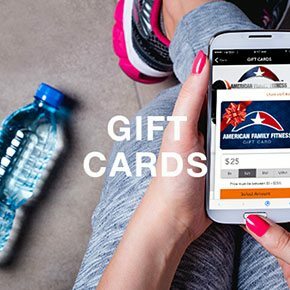 Give a gift card to our Short Pump gym to your family and friends, and help them to join the fitness revolution!